A hand appliqued Reading Quilt will be awarded to the person or chicken who answers one of the questions at the back of the book, Chickens in Birthday Suites, in the most humorous way. Contact me now or wait a few days, Chickens in Birthday Suits will be offered free for several days as an Ebook at Amazon starting July 16 2014. 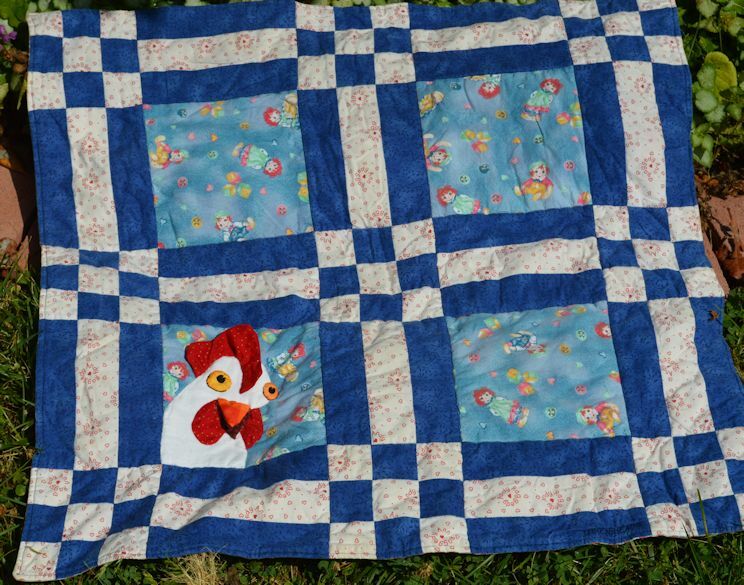 Contest To Win This Quilt With A Chicken On IT. Based On The Book Chickens In Birthday Suits.